William Henry Harrison Clayton, born in 1840 and named for the 9th U.S. President, helped transform western Arkansas and the adjoining Indian Territory from a crime-ridden haven for outlaws into lands of law and order and statehood. Regarded across the nation as a man of great principal and judicial skill, he served under seven U.S. Presidents during his law career that included working as a judge before and after his role as federal prosecutor for the Western District of Arkansas. The Pennsylvania native, described by famed frontier court Judge Isaac Parker as a “close, shrewd and prudent examiner of witnesses” came to Fort Smith from Pine Bluff in 1874 at the appointment by President Ulysses S. Grant. During his 14 years as U.S. Attorney, he had charge of more than 10,000 cases prosecuted in the court whose jurisdiction was the largest in the nation, totaling the 74,000 square miles of western Arkansas and Indian Territory. His record for murder convictions – 80 – is unparalleled in American jurisprudence. Highlights of his Fort Smith career, before being named judge of the Central District of Indian Territory in 1897, include successfully prosecuting the infamous “Bandit Queen” Belle Starr, and representing Deputy U.S. Marshal Bass Reeves in his acquittal of murder charges. During his family’s 23-year residence in Fort Smith, Mr. Clayton worked as a private attorney during the two presidential terms of Grover Cleveland, a Democrat. In the Clayton House, Mr. Clayton and his Southern belle wife, Florence, raised six daughters and one son over a 15-year period. Florence, a native of Pine Bluff, was a founding member of the Fortnightly Club, a women’s literary and social organization. The club helped begin Fort Smith’s public library. 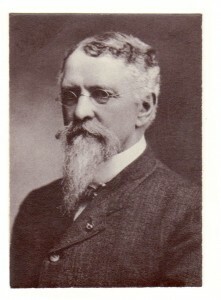 Mr. Clayton, in addition to working closely with Judge Isaac C. Parker six days a week, served in leadership positions as a Mason and member of the Knights Templar. W. H. H. Clayton was one of 10 children of a family whose ancestors emigrated to Pennsylvania from Chichester, England in 1671. He and three brothers survived to adulthood, and each of them exceeded in political careers. The eldest, Thomas Jefferson Clayton, who remained in Pennsylvania, served as a judge for 25 years. The younger three were engaged in the Civil War and afterwards moved to Pine Bluff, Arkansas. The second eldest brother, Powell Clayton, was elected as Governor of Arkansas in 1868 and U.S. Senator in 1871, and eventually served as U.S. Ambassador to Mexico. William’s twin, John Middleton Clayton, served two terms in the Arkansas legislature and three terms as sheriff of Jefferson County. While studying law in Pine Bluff, William served as superintendent of public instruction for the Seventh Judicial District and helped create 30 schools in seven Arkansas counties. Admitted to the bar in 1871, he served as prosecuting attorney for the First Judicial District and then judge of the First Judicial Court until accepting the appointment by President Grant to come to Fort Smith. In 1897, with the Fort Smith court no longer having jurisdiction over Indian Territory, President William McKinley appointed Mr. Clayton as federal judge of the Central District of Indian Territory. The Clayton family moved to McAlester. In 1901, President Theodore Roosevelt appointed Clayton as senior judge of Federal Courts and chief justice of the Court of Appeals of Indian Territory. In 1907, Roosevelt appointed Clayton as a member of the districting and canvassing board of the Commission to the Five Civilized Tribes. 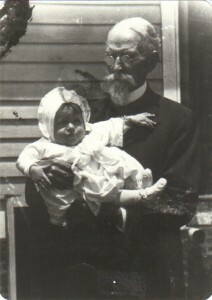 Upon the advent of Oklahoma statehood, the federal judgeship of the Indian Territory expired, and Judge Clayton resumed the practice of law in McAlester with his son, William, Jr. Judge Clayton died in 1920, 14 years after the death of Florence. Both are buried in the Fort Smith National Cemetery.